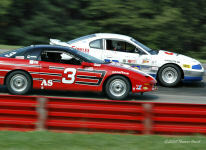 SCCA BOD has released the entire Runoffs ASedan report. I am not sure how they are going to distribute it, but I have it as an attachment on an email and I will gladly forward it to anyone who wants to read it. Thanks again Wheel for including me on the email for delivery of the report even though my car has not see a friggin second of race track. So I read the entire document and some things come to mind. The narrative points to systemic issues that caused the problems for AS but why is it that the system only failed AS? Are they different for each class? This isn't the first runoff and I can be somewhat sympathetic to the distance issue and personnel issues but why does it seem like they were in a rush to finish when so many questions remained unresolved? Thanks to all involved for drafting the document and spending the time to make things better. Almost everything that went wrong in ASedan, happened with other classes, too. The only difference is that in the other classes, only one or two things went wrong at a time. In ASedan, they ALL went wrong. 1. The existing organization - the structure of race operating officials and management, the Stewards of the Meeting (SOM), the Court of Appeals (CoA) is certainly adequate to meeting the demands of the Runoffs. 2. The problems at Road America were largely due to the lack of harmonious working relationships between some specialties. 3. It is not the intent of this report to determine fault in individuals, but it is our intent to state clearly that assignment of individuals is of paramount importance. See Personnel Recommendations below. 4. The facilities provided the officials to perform their responsibilities were not adequate in some cases, and exacerbated the people problems. 5. There were operational rules, procedures, guidelines at the Runoffs that could be improved, but these were the least causes of the problems addressed by this committee. Where we determined that these could be improved we have made recommendations below. 6. An unsolicited suggestion from an SCCA member regarding changes has been considered by this Review Committee and has been forwarded to the Club office with our comments, including that a portion had already become a part of our recommendations. 7. While our review concerned only the A Sedan (AS) race, these recommendations can apply to other classes as well. 8. Appendix A applies to the operations of the CoA, its emphasis upon CoA use of the CRB applies equally well to the SOM hearing. 9. Appendix B is a list of those reviewed by this committee in preparation of this report. 10. Lastly, the SOM and CoA organizations provide competitors a means of redressing wrongs; the former performed excellently, and with the following recommendations implemented, so will the CoA. To this end, the BoD, in conjunction with SCCA Club Racing and National officials, at a meeting on 17 Oct 2009, established a committee to investigate what happened and to make recommendations regarding policies, procedures, and circumstances to prevent a re-occurrence at future events. This committee consists of Messrs. Bob Corbitt, John Nesbitt, Kent Prather, Jim Wheeler, and John Bornholdt, Chairman. This committee began immediately to gather information from people and documents involved in the Runoffs AS race. This information was used to determine what had happened and for making recommendations for improvements in policies and procedures. This report will summarize the committee’s findings and recommendations. The 2009 Runoffs were run at Road America for the first time. In previous events the SOM, the CoA and Competitor Service Center (CSC) were co-located in a building that was close to the competitors, Race Control and Tech. At Road America, for budgetary reasons, the SOM, CoA, CSC, and Driver Advisors were assigned space in the old race administration building - “the farmhouse” - rather than in a facility procured for those purposes and located within the race track. The new administration building was not available for use by SCCA officials. The Race Control tower did not have space in it for these activities nor did any other existing facilities in the paddock area. The farmhouse is located at the entrance to the track, a considerable distance (greater than a quarter mile) from Race Control, the main paddock, and the area occupied by the Tech crews. Also, the farmhouse provided cramped quarters at best for the specialties located there. The race facility budget was used to provide a very limited number of golf carts, which proved to be indispensable, and the Tech activity with a large tent. Unlike most other events, where Race Control is the nerve center, at the Road America Runoffs it was CSC that was the nerve center. There were no operating telephone lines or internet services in the farmhouse, as they had been disconnected so that these connections could be made at the nearby new track administration building. The availability of internet connections and the lack of hard line telephone connections to the farmhouse was made known before the event. Evidently these factors were not addressed adequately by the specialties. While handheld radio communications could be held between the upper floor of Race Control to the farmhouse, they could not be held between Tech and the lower floor of Race Control to the farmhouse. Officials resorted to using personal cell phones. A list of cell phone numbers was circulated to try to alleviate this problem. Due to poor or no communications, personnel from Driver Information had to go to the farmhouse by golf cart to communicate with CSC. The location of CSC, SOM, CoA and Driver Advisors in the farmhouse meant that competitors and officials located elsewhere had to go a long distance to meet face to face or to file paperwork and official actions, of which there are considerable during the Runoffs. Competitors had to go to the farmhouse to enter protests at CSC, and to attend any hearings by the SOM or CoA. The Tech tent was located on a asphalt area which had virtually no flat, level surface to support certain inspections; the scales were allegedly level but not very convenient. It was located at the pit wall where the noise from the track became a serious distraction. Ensure that planned 2010 event facilities for the CSC, SOM, and CoA are located close to the Paddock and Tech areas and are equipped with adequate telephone and internet services. Have radio repeaters and elevated antennas for hand held radios to provide improved coverage; CENDIV has such equipment for use at their races at Road America. Relocate Tech to a structure that provides a level space under cover, is large enough to contain the activities planned, and is away from the noise of the circuit yet easily accessible to crews and officials. At Road America a new computerized information system was introduced that was intended to provide the various race activities with up-to-date, accurate information about the status of the numerous “Actions” that require officials attention and action. These Actions included reports from Tech on non-compliant findings, Chief Steward Actions (CSA), protests, appeals, etc. The Action reporting system is a critical link in the timely functions of Race Control, Tech, SOM, CoA, T&S and other activities. Shortcomings, delays, failures, result in problems such as failure to prevent non-compliant cars from being listed as race finishers, inability of the SOM or CoA to know whether protests or appeals are filed within regulation times, etc. Use of this new system revealed problems and may have resulted in the “loss” of at least one Action and in rules non-compliant cars being awarded finishing positions. Since the new electronic Actions reporting system did not have a large screen display, CSC used a large white board/grease pencil as in previous years to aid in monitoring progress of Actions. Problems with the electronic system while trying to run the old system as backup amidst a blizzard of actions caused an overload of the limited staff. The system is derived from an in-house SCCA office program and is built by SCCA office personnel. It is recommended that the system be reviewed and a decision made whether to continue to modify the existing system or generate and pre-race test a new one. All users of the system must be included in deciding its design. The needs of each specialty using the system should be tabulated by each specialty head or representative. This list should guide the design of the system to be used. Any new electronic system needs to be de-bugged in a simulation mode before being used at an operational site. A large electronic screen is needed to replace the whiteboard/grease pencil. The electronic system must include the capability to provide full screen pictures of documents inserted by the various specialties and to permit each specialty to print a copy of documents pictured on their display screens and to be able to scan documents and enter them into the system. Pre-race testing at Road America is needed to ensure that the system with all its hardware components is working in all race activities as soon as the race weekend begins. While the lack of adequate communications presented serious problems, CSC also failed to make available to race specialties a log of Actions and their status, and failed to respond to specialty requests and issue acknowledgements of receipt of documents and information. All Specialties need to know and respect that CSC has control of all paperwork involving competitions and acts as the nerve center for the race organization. A written set of operating procedures for CSC should be prepared, listing responsibilities and required services to be provided to each facility, defining the interfaces with other specialties, identifying the means and types of communications, maintain and distribute real-time log of Actions, issue post race reports, etc. CSC needs to recognize its responsibilities, organize to discharge them efficiently, and perform accordingly. Analyze the resulting CSC operations requirements and determine the numbers and types of personnel and equipment required. A fully functioning, useful electronic Actions communications system must be provided to CSC and the specialty groups they serve. Much time was spent on performing scrutineering and tests that could be eliminated as unnecessary. Tooling required may not support quick and easy testing. There were areas of rules compliance that were not checked. Prior to the Runoffs, the class Advisory committee, the Advisory committee CRB liaison, and the Tech Team for each class should get together on a call, or through emails, to discuss the important items to be covered in impound and tech during the duration of the Runoffs. a. Eliminate "gotcha" type violations that serve no purpose and waste time and energy. e. While Tech will have an agreed upon set of inspections for each class, it shall be free to inspect and in consultation with the CRB report for compliance to the GCR in areas it notices and believes to be non-compliant. The cars from the AS race were released from impound by the Assistant Chief Steward for Tech before all tech issues for the class were resolved including a potential CSA action, and the day before appeals were heard. This is a violation of the GCR. Tech Steward administration tried repeatedly to contact CSC for status of any pending actions, failed to get an answer, checked current spread sheet, which showed no pending actions. ACS Tech released cars from impound assuming that they were clear to do so, and notified CSC, got no acknowledgment. At least one potential CSA, non-conforming motor mounts, was resolved by with a log book notation and the CSA torn up. Paper work for this was evidently never prepared; it may not have been communicated to the Chief Steward. It is alleged that other potential CSA’s were ”lost”. The heads of specialties, the chairmen of the SOM and CoA, and the Chief Steward must communicate with each other to prevent premature release from impound. The heads of specialties must ensure that they and their people do not assume authority they do not have, and do not base actions on assumptions, only on confirmed facts. Important decisions, such as clearing the impound or deciding to issue a CSA based on tech inspection reports are to be made by the Chief Steward and not to a delegated person. Decisions whether to forward to the Chief Steward issues involving compliance were made by the ACS Tech. Items found to be non-compliant by the scrutineers should first be reviewed with the CRB representative and the Club Racing Technical Staff representative by the Tech Line Chief and/or Chief of Tech, and if confirmed as non-compliant, the Chief Steward to be notified. Tech would check all cars for one item, then go back to first car and check second item, etc. This resulted in multiple non-compliant requests for CSAs, created problems in scheduling, and created unnecessary amounts of paperwork and clogged the Actions system. Tech should complete scrutineering of a car before issuing any resulting requests for CSAs. List of items to be checked for rules compliance treated as though it were a classified document. List of items to be checked should be generated in concert with CRB before the event and competitors advised. This Review Committee was told that Spec Miata had numerous problems in 2008 Runoffs, that national use of Spec Compliance team during 2009 racing season had drastically reduced problems at 2009 Runoffs. Recommend similar action for AS in 2010. Club Office should investigate whether the practice of prior years can be re-instituted of involving manufacturers who would provide special tools gratis. Far too many scrutineers were assigned to these Runoffs, creating difficulties in managing the operation and in working conditions. There were a number of highly skilled, knowledgeable scrutineers present. Staffing should be restricted to them or their peers and only the number of helpers they need. There were far too many Tech Stewards authorized for this event; their numbers added to the confusion in the Tech tent. There be the same number of Tech Stewards as there are Tech Line Chiefs but no more than four (4). The “Tech Steward Administration & Operations - 2009 National Runoffs” appears to put this operation in series between the Tech and Chief Steward functions. The wording should be changed to make it clear that this is a group who is assisting the Chief Steward but are NOT between him and the Tech people and organization. For example, when scrutineering determines a non-compliance, the electronic report should go from Tech to the Chief Steward with an informational copy to the ACS Tech Steward. Also, the Chief Steward, NOT the ACS Tech Steward, releases cars from impound. Tech, not the Tech Steward, ought to get the Action numbers from, and report the actions of Tech to, CSC. The wording in Tech Steward Administration & Operations 2009 National Runoffs that reads “... If the CS/ACS/SOM/COA/CRB need to inspect or investigate cars under our care, custody and control they should be directed to the Tech Stewards, first and foremost, and we will organize the inspections or tear downs to be done by the Scrutineers.” is all wrong. Those are Tech functions. The way this is written the Tech Stewards are running Tech and that’s not their responsibility. No wonder there was inter-function friction. In at least one instance the CoA did not follow practices that are required in the GCR: notification to all concerned of the time and place of its hearing. In this instance the CoA did not first interview the SOM to determine the basis of the SOM’s rulings, and subsequently did not first check in with the Chief of Tech to determine how measurements were made, etc. The CoA had Tech personnel set up the test equipment, then invited the competitor to set it up. They did not, in fact, do any measuring; they impeached the apparatus rather than the use of the apparatus, and ignored the proper protocol for having the measurement demonstrated. The CoA is to follow the same practices as those that apply to the SOM, except that the CoA shall first call upon the SOM rather than the Chief Steward. They may later call the Chief Steward as they may require to complete their hearing. A recommended CoA procedure is included with this report as Appendix A. Appeals were heard regarding vehicles that had been released from impound. The CoA must ensure that they have a regulations compliant situation under which to consider an appeal: that the appeal has been filed in timely fashion, conforms to rules in format and content, is accompanied by required fees, that the impound is still in effect, and results not yet posted, etc. The CoA has control of impound when an appeal is being heard; only they can order the release from impound in this case. There is conflict between the CoA published rules in GCR and Operations Manual on one hand and the CoA Operating Guidelines on the other which should be resolved, i.e., 1 or 2 alternates; return all or only some of appeal fee; alternates participating in investigations and determinations when regular three members are available, etc. After all three documents have been reviewed and blessed officially they should be published in FasTrack, along with Appendix A to this report. CoA alternates should be exactly that; they may listen and look and participate in hearings but not in deliberations and decisions. If they do the latter they are no longer alternates but in fact are regular members. There were examples of steward’s actions in several specialties that were not in accordance with rules and practices, were below what is expected, and might be considered unsatisfactory. In stark contrast, the Chief Steward and operating assistants and the SOM were exemplary in their performance. The stewards program needs more honest appraisals of performance, with followup counseling and guidance where improvement is required. Where this does not result in desired level of performance, appropriate license renewal actions must follow. Training is a helpful adjunct to this program. Following the AS race and as a result of the ensuing technical inspections there were actions taken against entrants/drivers, some of which resulted in protests and appeals. In one instance there was an appeal entered by the Chief Steward for which there was no protest, a violation of the GCR. This fact was not confirmed until late in October, when consideration was given by the CoA to amend the official CoA report. This amending action was stopped until after the issue of this Review report. The Vice President of Club Racing gathered all the documents kept by the CSC and issued a 2009 Runoffs Actions report to this Review Committee. In the Actions report there is a notation “Documentation missing”, and three blanks where Actions taken were to have been entered. Another race activity reported that no log was kept by CSC that listed the times when documents or actions were received or acted upon. This Review Committee had no means to determine if protests or appeals were entered within the times set by the race regulations. Lack of this log also resulted in the embarrassing situation cited above of an appeal being issued without there having been a preceding protest . Much of this was the result of problems with the electronic reporting system, the physical separation of Tech from the CSC, the lack of good communications, all compounded by a lack of good working relationships in and between some activities. See CSC recommendations above and personnel assignments recommendations below. Driver advisors were not available to competitors late Saturday evening after completion of SOM protest hearings, causing competitors to file appeals the following morning, in violation of Runoffs Supplementary Regulations. Allegedly the advisors left early each evening for dinner engagements and told another official that they worked for the Chief Steward, not the SOM or Court of Appeals. Remind Driver advisors their primary duty is to assist drivers and not for social events. They need to know and accept that while they may report to the Chief Steward operationally they are a service to the SOM and the CoA, and that organizationally they in fact report to the SCCA Club Racing Vice President. Lines of communication/protocol were not set up/enforced, not enforceable, or localized to the specialty without regard for the needs of interacting specialties. The release of cars from impound before appeals were heard and before car inspection issues were completed indicates a breakdown in communications and a lack of understanding of the roles, responsibilities, and boundaries between specialties. The CoA is responsible to the BoD, other race activities to the VP of Club Racing. That an overview be taken of the total race organization, and roles, missions, and missions of each activity be spelled out for each specialty, reviewed and agreed upon by the specialties, the Club office, and the BoD, that clear demarcations be established as to which group does what and defines the interfaces between them to avoid misunderstandings and errors. The senior leadership (Chief Steward, Chairman of the SOM, Chairman of the Court of Appeals, VP of Club Racing) must take responsibility for, and make a priority of, establishing process and communications rules, setting expectations for cooperation, and removing bottlenecks and communications issues between specialties. Update/revise all procedure documents. Combine all procedure documents into a master Runoffs procedure document, and distribute it to all volunteers. Develop and validate lines of communication protocols for all specialties, including stewards, and incorporate them into the master procedure document. The CRB should be made a formal part of pre-race planning and especially regarding compliance testing and tooling, and to provide expertise to post-race impound and any subsequent SOM or CoA hearings. The CoA should report to the Club Racing Vice President. Procedures and policies are useless if the responsible personnel ignore them. Even if procedures and policies are followed, if race activity heads cannot or will not work together there will be serious problems. Therefore personnel assignment is the number one priority. It is interesting that these people problems existed despite there being almost year-long race staff teleconferences, and in some cases, individual counseling, before this race. It is of utmost importance that the highest priority be given to assigning officials who will work together to the common goal of putting on a successful event with a minimum of problems. If that requires changing some existing policies, then we strongly recommend those changes. The current policy where the National head of each specialty is automatically the head of that specialty at the Runoffs must be re-examined, as must be the practice of composing the SOM of Executive Stewards, some of whom might better serve on the CoA . A person who may be an excellent administrator may not be a good operating head, and vice versa. The Runoffs heads of specialties should be chosen as to their ability to operate in the field under pressure with their peers. The current policy where personnel are rotated every few years needs to be re-examined, as it causes a loss of valuable experience learned only through years of exposure. Rotation has merit, but it should be done with an idea to also retaining experience in the activity. Make succession planning a part of the leadership role. Identify and groom the succeeding leader, with assignment as assistant chief during the final year of each chief's tenure. Apparently there are now more applications from stewards and scrutineers than there are available tasks and positions. Those responsible for selecting race staff will have to establish guidelines for the numbers of staff in each specialty and for applications acceptance and assignments, and follow them. The practice of having stewards as specialty chiefs is not healthy. It promotes confusion about the scope and limits of the chief's role. Assign volunteers holding steward licenses only to steward functions. The Review Committee wishes to thank the many officials and others contacted during the Committee’s investigations for their candor and willingness to help identify problems and aid in preventing them in future events. Those interviewed by this committee are listed in Appendix B; e-mails, blogs, and other correspondence from others was also included in the review. Whenever an appeal is entered, the appointed Court of Appeal (CoA) shall follow the following procedures. 1. The CoA shall determine if the appeal has been entered within the specified time period, is accompanied with the specified fees and bonds, references the specific portion of the GCR or Regulations that are at issue, and has resulted from a ruling adverse to the appellant by a preceding Stewards of the Meeting (SOM) hearing on exactly the matter appealed. 2. The CoA shall log in the appeal, record its serial number as assigned by the Competitor Services Center (CSC), and time and date its receipt. 3. Having ascertained that the appeal is appropriate for consideration, that the matter is an issue for which the GCR or Regulations permit protests and appeals, the CoA shall notify ALL those directly involved that the appeal has been received and is under consideration, and provide details concerning where and when the hearing will be held. 4. In all cases that do not directly involve Timing and Scoring and Technical Inspection, those activities will be notified as though they were directly involved and shall be kept appraised by the CoA of the progress of the appeal up through its conclusion. 5. In beginning it’s hearing, in every case the CoA shall first review the report of the SOM, and next receive testimony from the SOM Chairman or his designee. 6. After completing its review of the SOM report and testimony, the CoA shall interview the appellant and determine if there are sufficient grounds for continuing the hearing. 7. When rules compliance issues are at question, the SOM and the CoA are to include appropriate representatives of the CRB and its Advisory groups in their interviews, and include the SCCA Club Racing Technical Staff where appropriate. Testimony from CRB and its Advisory groups shall be treated as that of experts and shall not be subject to protest or appeal. 8. Should the CoA determine that in fact correct practices, procedures, equipment and the like have been used by SCCA officials, they shall rule against the appellant. 9. Depending on the nature of the appeal and the information gathered as a result of reviewing the SOM report and SOM testimony, if the CoA determines that in fact, correct practices, procedures, equipment and the like have NOT been used by SCCA officials, they shall find for the appellant, and order a repeat using correct practices, procedures, equipment under the review of the SOM. All fees and bonds shall be returned to the appellant in this instance. 10. The repeat measurement and decision by the SOM shall be subject for a new appeal. 11. When the issue has been decided by the CoA, the CoA shall immediately verbally notify the appellant and Runoffs race officials, including but not limited to the CSC, the SOM, the Chief Steward, Technical Inspection, Timing and Scoring, the SCCA Club Racing office representative regarding their decisions. 12. The CoA shall issue their report in writing and on the race data network. This report shall include the time and date the appeal was received, the time and date of the beginning of the hearing, and the time and date when the appellant and others were verbally notified of the CoA decision. 13. The CoA report shall also include the names and positions of the CoA members, the names and positions of all persons questioned, and as attachments, copies of those persons written testimony,. 14. The report will include as an attachment the appeal or its full wording without change, and include a brief summary of the testimony received. The report will include the considerations and decisions of the CoA, including penalties, any effects on race results, and disposition of fees and bonds. The report shall not include any contestant proprietary or sensitive information nor divulge “trade secrets”. 15. A copy of the written report shall be provided to the appellant or any of the race activities upon their request. From a Tech Steward: Now that I have calmed down from reading the Committee Report, let me say that I am deeply disappointed in some men whom I have respected for their intelligence and integrity. The Report is badly flawed and begs for correction. At the outset, the Committee acknowledges that its mandate from the Board concerned a review the “issues that did a disservice to many competitors and specialty workers in the AS race”. The Report then proceeds to re-plow ground that was quite adequately covered in the debriefings following the RunOffs. Six pages into the Report, the Committee finally addresses the job it was sent to do, and does so in a most oblique and indifferent fashion. Most of those six pages should be scrapped as irrelevant to the task of the Committee. Oh, they contain some good ideas, and some very bad ideas, but they do not respond to the mandate from the Board to address the AS incident. Nowhere is there a clear and unequivocal statement that the Committee found the Court of Appeals ruling was flawed. In Paragraph 6, they do report that the COA failed to follow proper procedure and protocol, but they fail to provide any facts to support for their findings. Much more importantly, they fail to explain why the COA departed from proper procedure and protocol. This, before all other considerations, was the very point of the Review. The Committee offers no foundation for their remarks and recommendations in Paragraph 7 about the actions of stewards “in several specialties”. Not only is there no mention about the responsibilities of the Chief Steward to ensure that his Assistants perform their duties correctly, the Committee claims that, “the Chief Steward and operating assistants and the SOM were exemplary in their performance”. How is this reconciled with the duties of the Chief Steward (ref. GCR 5.12.2 A.1-3)? The Committee seems confused about the role and function of the Assistant Chief Steward. In the convoluted Recommendations in Paragraph 5, the Committee concludes that all Scruitineering reports of non-compliance should be delivered directly to the desk of the Chief Steward “with an informational copy to the ACS Tech Steward”. Apparently, the Committee failed to consider the volume of Actions that originate in Scruitineering. The Chief Steward of the 2009 Runoffs, and the Chief Stewards of all preceding Runoffs, was well aware that he would be buried in Scruitineering paperwork unless he delegated his responsibilities and authorities to an Assistant Chief Steward Tech. The effect of these recommendations is to negate the role of the ACS Tech and cause more, not less, confusion. Moreover, the Committee failed to consider the effect their procedure would have on the timely filing of Chief Steward Actions in response to a Scruitineering Report of non-compliance, as well as the required personal notification to Competitors. There is a very large and troubling inconsistency that runs through several sections of the Report. The Committee presents a set of very well-thought recommendations in Paragraph 11. Some of the changes recommended are over-due. The inconsistency emerges in two remarkable findings earlier in the Report. “Far too many Scruitineers were assigned to these Runoffs”, and “There were too many Tech Stewards authorized for this event…” Evidently, the development of replacement Scruitineers and Tech Stewards is to occur elsewhere from the Runoffs. These are the big pieces that fell off from my reading of the Report. There are some other issues of lesser importance that I won’t bother you with. One thing I do feel was missing was an acknowledgement that the Runoffs are a unique environment and that it is improper and incorrect to draw strict parallels to stand-alone events. The issue of the number of Scruitineers and Tech Stewards is particularly troubling in this regard. Perhaps the Committee would have benefitted by experiencing the succession of twelve to fifteen hour days, of dinners and entertainments forgone, of races never seen, in order to provide our competitors with effective and timely service. The admonition to “walk in his shoes” is most apt in this case. As I finish writing this, I intend to call my Executive Steward and advise him that I am not interested in a Tech assignment at the 2010 Runoffs. It will reduce the number of Tech Stewards. I personally find your remarks germane and honest. Thank you for not deserting the tech stewards in the face of this unfounded and unsubstantiated criticism. Accordingly, I am forwarding them to persons I feel will read them without prejudice and, hopefully, will take them at face value and correct the report. If I had the addresses of John Bornholdt and the rest of his Committee, I would send your remarks directly to them as it is only fair that they know that they missed their tasking by a wide margin. I am respectfully requesting that Terry Ozment's staff do that for us. Further, the entire BOD would benefit from reviewing them as well. They will likely be faced with questions at the Convention and, therefore, deserve to be informed. My own remarks will follow yours as soon as I am sure that the rest of our team gets a chance to make comment. Bottom line, the Review Committee is either unenlightened, misinformed or biased as to our work. It is a great shame that the American Sedan driver's affected do not know the real facts and the true causes of their experiences in the post race technical inspection process. To rationalize or scapegoat hard working scrutineers and tech stewards for clearly non compliant race cars at the National Runoffs is neither safe, fun nor fair. It simply is not a good precedent from any angle and it certainly does not meet the requests of the membership and their BOD who ordered the review in the first place. Tom Ellis is the AS National Champion of 2009 and always will be in the minds of those who know the truth. Wow! Was I there? Report seems to be from an event I wasn't at. Items in this report are in direct conflict with the Chair SOM report. As I first read the report and some of the recommendations I had to ask myself if they had talked to the CS and run some of their recommendations by him. I then saw that he was interviewed. I do have to say there are a number of legitimate observations in the report. The biggest was the communication problems between the Farm House and Tech. Our noise situation was a significant part of that problem, but, by no means not the largest. Too many Tech Stewards? The Observer report indicates 11 and praised how well the TEAM worked together and how less experienced Stewards were trained by others. The AS review report also suggests there be succession planing. That takes more people. 4 Tech Stewards? FOUR?? Give me a break. Actually with only four, you don't get to take a break. Did someone forget that this is a week long event and Tech is open a minimum of 12 hours per day? And 2010 will be worse in that there will be more combined groups, meaning there will be more classes and cars in the Tech shed at one time. But that said, taking the full report into context, I don't see that there needs to be any Tech Stewards. The CSA form will be completed by the Scrutineers and sent directly to ACS for action with a cc to the Chief Steward. Don't know what he/she does with it. Any interpretation of the GCR will be done by the CRB representative, so don't need a Steward there any more. So I don't see what is left for the Tech Stewards to do. Too many Scrutineers? 66. Again to cover a whole week. T&S had 61 and a small room. Large staffs allow people to do other things at the Runoffs other than just work their speciality 12 hours a day for a week. I do agree that some of the compliance checks could be better defined, and that involving the CRB and Class Advisors in the generation of the list of items to check for compliance would improve the process. I disagree with the idea that the list of items to be checked should be an open document to the competitors. Yes, for some key items, like the valve lift on AS, the list can be made public. The Supps already do this in stating there some minimum checks of engine bore and stroke along with some other items. But to say that here is the complete list of items we will be checking and nothing more, lets the competitor know where to put the cheater parts. Saying "and additional checks may be performed" turns over the witch hunt card again, which the confidential list was put in place to fix. My recommendation would be to more public about some of the list, but not all of it. The report also seems to contradict itself within the same paragraph. It appears to be saying that too much is being checked, and some checks could be eliminated, and goes on to say areas were missed. The report seems to indicate that one item was checked on each car before the second item was checked. I don't have a clue as to how the committee got that idea. I don't know if any of the committee has ever observed a Runoff's Tech inspection. The report found fault with what I believed you had set up to establish clear lines of communication between the Scrutineers and the Tech Stewards. The way I read the Observers Report, this was given good marks. I don't see the problem with the Tech Stewards "in series between the Tech and Chief Steward functions." I see the ACS Tech acting as a buffer between the Competitor and Scrutineers and the CS, empowered to handle routine situations with in guidelines pre-established between the ACS Tech and the CS. I certainly had the impression that you and Jim A. had done this. The CS is not consulted by the Operating Stewards for each of their decisions which, per the GCR, are CS decisions. It's called empowerment to reduce the work load of top management. I agree with the report that SM was a zoo in 2008 and much better in 2009. They gave credit to the SM Compliance Team's work over the course of the 2009 season as being the reason for this. The SM Compliance Team was a good thing for SM, but I don't see it as being why 2009 was better than 2008. I credit that to two items. One being the restrictor plate "go / no go" gauge. I suspect that most if not all of the "non compliant" plates found in 2008 would have passed this inspection. The second is that some items were found and the line chief chose not to follow up because he figured he would just lose on appeal, so why bother. He had "learned" his lesson from 2008. I note that he was not interviewed by the committee, but should have been before they drew this conclusion. The final item I care to comment on at this time is the recommendation that Chief’s of Specialty not hold a Steward’s license. The following statement “Assign volunteers holding steward licenses only to steward functions.” This seems to apply to all volunteers, not just chiefs. Having a Steward’s license should not preclude a volunteer from performing functions for which they are qualified. Page 2, Item 1. Geography and Facilities, Issues: The availability of internet connections and the lack of hard line telephone connections to the farm house was made known before the event. Evidently these factors were not addressed adequately by the specialties. Why would it be the specialties responsibility to check that there was a lack of internet and radio communication at the track? SCCA should have had all of that tested and re-tested long before the event. The committee's recommendations for this item should have been standard operating procedure for any event, let alone the runoffs. Page 2, Item 2. Actions Communications, Issues: The system is derived from and in-house SCCA office program and is built by SCCA office personnel. It is recommended that the system be reviewed and a decision made whether to continue to modify the existing system or generate and pre-race test a new one. All users of the system must be included in deciding its’ design. Problems with the software were definitely related to insufficient testing. Interviewing the workers who would be using the program would have resolved this quickly. The problem here lies in geography and finances. SCCA can't afford to bring several folks in to review the new software. Reverting back to the old system did have a few bugs, but was entirely workable. It would work again with a few changes. The Action numbers should have been assigned BEFORE paper was written or sent. One item was lost as a result of just "sending and calling". Page 3, Item 3. CSC Recommendation: A written set of operating procedures for CSC should be prepared, listing responsibilities and required services to be provided to each facility, defining the interfaces with other specialties, identifying the means and types of communications, maintain and distribute real-time log of Actions, issue post race reports, etc. The CSC duties could be shared with the Administrative Assistants in the Tech Shed, who could update the Actions Spreadsheet with the CSA/RFA actions at their end. MUCH MORE transparency is needed, so all specialties can see the actions, times and updates for each CSA/RFA. Page 3, Item 4. Tech Inspection Issues: Much time was spent on performing scrutineering and tests that could be eliminated as unnecessary. Tooling required may not support quick and easy testing. There were areas of rules compliance that were not checked. Please give details. What was "unnecessary" scrutineering? What was "not checked"? The tech inspectors all take responsibility for the failure to remember the bolt-on metal plate for checking valve lift on an aluminum head. To a man/woman they all said they should have thought to mention it. So should have SCCA National. c. Provide support for definition of rules that may fall in a grey area, or have more than one interpretation. (Carb screws covered by the rule that allow any hardware) The tech inspectors did their job, which was to inspect the carb. The GCR says “NO modifications allowed”. If the carb screw is ground off it’s a violation. Determining whether the carb screws are covered under the "fasteners" entry in the GCR was NOT the tech inspectors job. It should have been resolved in the Tech Shed before paper was written. B. Page 4, Impound. Recommendation: Important decisions, such as clearing the impound or deciding to issue a CSA based on tech inspection reports are to be made by the Chief Steward and not to a delegated person. Are you saying the Chief Steward has to OK releasing cars from Impound? What is the Assistant Chief Steward's (Tech) job? Recommendation: Items found to be non-compliant by the scrutineers should first be reviewed with the CRB representative and the Club Racing Technical Staff representative, by the Tech Line Chief and /or the Chief of Tech, and if confirmed as non-compliant, the Chief Steward to be notified. Again, where are the ACS-Tech and the Tech Stewards in all of this? Have any of the individuals writing the report ever worked in tech? Nothing would get done if this were required. We believe this is what the GCR is for. Issue: Tech would check all cars for one item, then go back to the first car and check a second item, etc. This resulted in multiple non-compliant requests for CSAs, created problems in scheduling, and created unnecessary amounts of paperwork and clogged the Actions system. Who gave you this information? Whether a tech inspector (1) checks a car, finds an issue, then writes it up, or (2) checks the entire car, then writes up all issues, there is no time saving with either choice. Each issue is written up separately. Issue: List of items to be checked for rules compliance treated as though it were a classified document. Recommendation: List of items to be checked should be generated in concert with CRB before the event and competitors advised. This review Committee was told that Spec Miata had numerous problems in 2008 Runoffs, that national use of Spec Compliance team during 2009 racing season had drastically reduced problems at 2009 Runoffs. Recommend similar action for AS in 2010. If all items to be checked were released to the competitors, there would be no need for tech. We could be more public about some of the list, but not all of it. The reason there were so few write-ups on the Spec Miatas is because the scrutineers refused to write up the cars with issues. Every car in the tech shed was non-compliant. So much for the drastically reduced problems. We agree with the report that SM was a zoo in 2008 and much better in 2009. They gave credit to the SM Compliance Team's work over the course of the 2009 season as being the reason for this. The SM Compliance Team was a good thing for SM, but we don't see it as being why 2009 was better than 2008. We credit that to two items. One being the restrictor plate "go / no go" gauge. We suspect that most, if not all, of the "non compliant" plates found in 2008 would have passed this inspection. The second is that some items were found and the line chief chose not to follow up because he figured he would just lose on appeal, so why bother. He had "learned" his lesson from 2008. We note that he was not interviewed by the committee, but should have been, before they drew this conclusion. From an email received by tech workers: Additionally, the way the AS was handled after the issues left tech had a direct affect on the outcome of SM. The SM compliance team found inconsistencies with all six of the top finishing cars. One issue was officially reported. The SM compliance team chose not to report observations and measurements that were in the verification and repeatability stage of the process as a direct result of the way AS was being processed post tech. As a result of the SM tech team's choosing to not make official reports final, I requested that the one issue that had been processed be withdrawn. It would have been unfair to the on track winner to receive a penalty for a minor infraction which was a result of driver comfort and safety when there were more serious inconsistencies with the other cars. Issue: Far too many scrutineers were assigned to these Runoffs, creating difficulties in managing the operation and in working conditions. Recommendation: There be the same number Tech Stewards as there are Tech Line Chiefs but no more that four(4). If there were far too many scrutineers assigned, why were so many of them doing double duty? Most of the workers were assigned to two or three groups each day. There were 66 scrutineers. Again, to cover a whole week. T&S had 61 and a small room. Large staffs allow people to do things at the Runoffs other than just work their specialty 12 hours a day for a week. Four Line chiefs? Four Tech Stewards? You gotta be kidding!! Just how would that work? Did someone forget that this is a week long event and Tech is open a minimum of 12 hours per day? But that said, taking the full report into context, we don't see that there needs to be any Tech Stewards. The CSA form will be completed by the Scrutineers and sent directly to CS for action with a cc to the Chief Steward. Don't know what he/she does with it. Any interpretation of the GCR will be done by the CRB representative, so a Steward is not needed any more. Consequently, we don't see what is left for the Tech Stewards to do. Page 5. Tech Stewards, Issue: There were far too many Tech Stewards authorized for this event: their numbers added to the confusion in the Tech tent. You are also saying that the Chief Steward must come to the Tech Shed to release cars from impound? What is the ACS-Tech doing at the runoffs? Looks like he is not needed.... We see the ACS Tech acting as a buffer between the Competitor and Scrutineers. The ACS Tech is empowered to handle routine situations within guidelines pre-established between the ACS Tech and the CS. The CS is not consulted by the Operating Stewards for each of their decisions which, per the GCR, are CS decisions. It's called delegation or empowerment to reduce work load of top management. Page 5, Item 6. Court of Appeals – In at least one instance, the CoA did not follow practices that are required in the GCR: Notification to all concerned of the time and place of its’ hearing. In this instance the CoA did not first interview the SOM to determine how measurements were made, etc. The CoA had Tech personnel set up the test equipment, then invited the competitor to set it up. They did not, in fact, do any measuring ; they impeached the apparatus rather than the use of the apparatus, and ignored the proper protocol for having the measurement demonstrated. You hint that the COA did not follow procedure in several areas. It seems that they might have accepted the appeal in a "non-compliant" way. If they "bent" the rules and allowed a late protest because they (the COA or the Driver Advisors) had left the track early, that certainly makes them the center of the problem. In addition, after accepting a late appeal, they failed to inform and interview the SOMs and Tech of the appeal. Page 6, Item 7. Stewards: There were examples of steward’s actions in several specialties that were not in accordance with rules and practices, were below what is expected, and might be considered unsatisfactory. How about giving us some examples of these stewards actions? Page 6, Item 8. Record Keeping - Following the AS race and as a result of the ensuing technical inspections there were actions taken against entrants/drivers, some of which resulted in protests and appeals. In one instance there was an appeal entered by the Chief Steward for which there was no protest., a violation of the GCR. This fact was not confirmed until late in October, when consideration was given by the CoA to amend the official CoA report. This amending action was stopped until after the issue of this review report……Much of this was the result of problems with the electronic reporting system, the physical separation of Tech from the CSC, the lack of good communications, all compounded by a lack of good working relationships in and between some activities. Let's see........An amending action took place in late October (and is still pending) until after the issue of this report. We don't know what the issue concerns. But, we can't go back and make an "amending action" to give the win for the AS race to the only compliant car in the tech shed. Most of the problems were not due to the electronic reporting system, rather, they were due to the individuals responsible for entering the data they had received in an untimely manner. None of this would have happened if the spreadsheet had been up to date. It was not computer generated errors, it was operator errors. Page 6, Item 10. Roles and Missions - This report seems to indicate that the "breakdown of communications was entirely Techs’ lack of understanding of its’ role. To repeat, if the appeal had been filed on time and the master list updated, the AS situation would not have happened. Then, if the CoA accepted the appeal beyond the deadline, they failed to communicate with anyone. Page 7, Item 11 Personnel Assignments – Therefore, personnel assignment is the number one priority. It is interesting that these people problems existed despite there being almost year-long race staff teleconferences, and in some cases, individual counseling, before this race. Everyone was aware of certain personality conflicts. Most did their best to keep them in check. Occasionally, there were disagreements. Planning the number of workers needed in each specialty and then choosing from individuals who have applied to work the runoffs, is paramount. Currently, if you show up, you work. Sometimes, that is not a good thing. Page 7, Appendix A - The CoA at the Runoffs wasn't even a second cousin to the procedures listed therein. Page 8, Appendix B - JoAnne Jensen was one of the three member of the CoA who witnessed the Sunday morning valve lift issue. Why was she not interviewed? Item 7, Appendix B – When rules compliance issues are at question, the SOM and the CoA are to include appropriate representatives of the CRB and its Advisory groups in the interviews, and include the SCCA Club Racing Technical Staff where appropriate. Testimony from CRB and its advisory groups shall be treated as that of experts and shall not be subject to protest or appeal. SCCA should not be above the law. Even in a court of law, an expert’s opinion is judged by a jury, just as the plaintiff’s, the defendant’s, and the witnesses. No one is infallible. We believed that the purpose of the A Sedan review was to investigate the CSA’s written by the scrutineers, the resulting actions of the CoA, and the difficulties communicating with Competitor Services. Instead, they rewrote the runoffs. Last edited by ASfan; 01-13-2010 at 11:30 PM. Wow..so much for thinking things had cooled off. One point. Although the writer put the following in their post, in reference to the carburetor issue. The GCR says “NO modifications allowed”. shall not be modified in any way." And, (also under 9.1.6.D.1) the rules do, in fact, provide for the screws to be replaced. items performing the same fastening function(s). My personal opinion was that way too much time was spent in impound on this issue. Also, the Holly recommended maintenance on the carb screws calls for them to be ground off, to be removed. They are then replaced with alternate screws. Holly does not have a part # for replacement screws. That, of course, is beside the point, since the rule clearly allows them to be replaced. The poster also quotes page 6, item 10, again with quote marks: "breakdown of communications was entirely Techs’ lack of understanding of its’ role. Page 6 item 10 DOES NOT say that. It does say, "The release of cars from impound before appeals were heard and before car inspection issues were completed indicates a breakdown in communications and a lack of understanding of the roles, responsibilities, and boundaries between specialties." That item, certainly, does not single out Tech for the release of the cars. Last edited by jimwheeler; 01-14-2010 at 04:28 PM. There are so many issues to respond to about the responses to the report.... I don't have time!! I competed in SM, to learn that all the SM's were non-compliant?? Why, How, was it important??!! The Green text above says one action was withdrawn because of a ticky tack driver comfort issue... HOORAAY... What about the others? HOW CAN MY POINT (written about previously) OF COMPETITOR BASED TECH BE OBJECTED TO??!! THE response about a tech guy just spots violation of the GCR, and someone else judges... WRONG... The SM tech guys made the decision in the tech shed with statements like "It would be unfair ... minor infraction... more serious inconsistencies"... DON"T LOOK NOW BUT THESE ARE JUDGEMENT CALLS! THERE ALWAYS HAVE BEEN, WILL BE JUDGEMENT CALLS AT THE TECH LEVEL! GREAT, Lets just formalize that step with some competitor input!! Tech also made the judgement that blocking a dead passage is a design change?! Attention people, Judgement calls ARE BEING MADE, they need to be a formalized step in the process with competitor input to get this back under control. In my opinion all this is way too complicated. Who said SCCA needs to have structure like a court of law?! IT DOESN'T... Have any of these people ever gone stock car racing? There are 1-5 guys who say "Hey Buddy, this don't fly, no points tonight" PERIOD. Extremes of the swing of the pendulum, but there has to be middle ground... and the 1-5 guys should be at the very least the tech shed competitors and maybe even the top 15 finishers... SOMETHING, ANYTHING that habitually gets other competitors from the class will help all this! Part of the recommendation, that came from this, is that members of the class advisory committees and the CRB be active in the tech shed. (and also before the Runoffs in an advisory capacity). So, if a member of the ASAC was at the Runoffs, and wasn't involved in impound, they could be available to advise or mediate and help the tech crew deal with some issues. Last edited by jimwheeler; 01-15-2010 at 12:29 PM.